After 20 years of to and fro transport minister Chris Grayling has confirmed that the third runway at London Heathrow is going ahead. But why is this happening and is it really the best option? 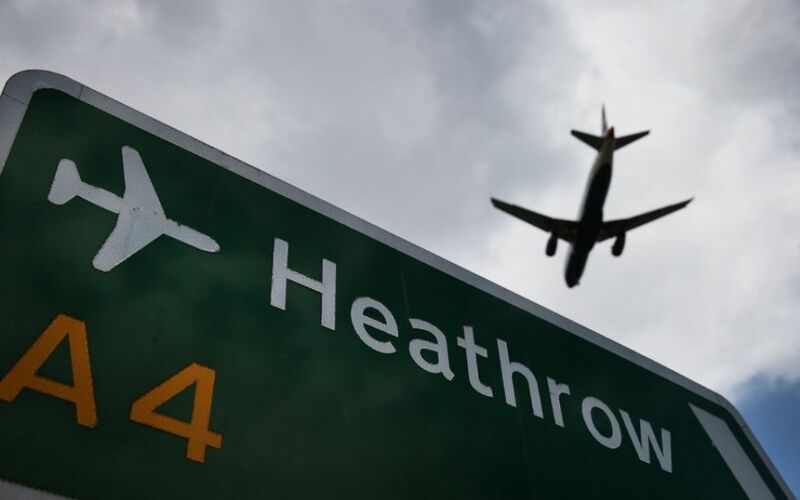 Heathrow is one of the world’s busiest airports, handling more than 69 million passengers a year. More than a third transfer onto other flights, making it a valuable hub airport. Those transfer passengers using Heathrow to change flights have helped create a large route network and bring economic benefits. But Heathrow is close to full capacity and delays and cancellations can be caused by small disruptions such as bad weather. Flights can’t operate 24 hours a day and an agreement with the local authority to not use the runways in “mixed mode” (where take-off and landing operate from the same runway) limits Heathrow’s capacity for more flights with two runways. So a third runway has been determined as the best short-term option to keep Britain competitive with its European rivals, as a third runway could be completed relatively quickly. The airport is a big employer and supporters cite a knock-on effect to businesses in the area. And a new runway inevitably means a new flight path. Many people in West London and Berkshire could get planes for the first time for as many as 13 hours in one day. The M25 between junctions 14 and 15 (Heathrow to the M4) is the busiest section of motorway in UK. Heathrow has admitted that only some form of congestion charge could keep levels to a manageable level if a third runway was built. Boris Island – a Thames estuary airport located at Shivering Sands in Kent. 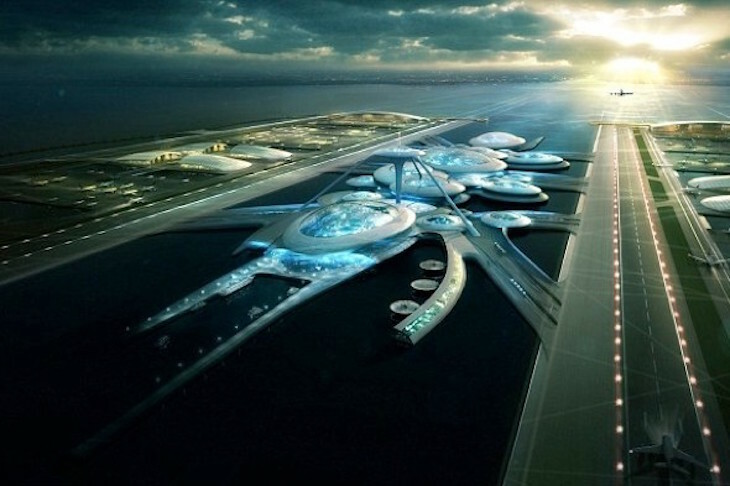 Plan: Reclaim land in the estuary east of London and build a state-of-the-art modern airport. At the same time, completely close Heathrow, use its vast acres to build loads of new housing, which will help raise money towards the new airport. Pros: Likely to be privately funded and provide an airport hub large enough to compete with European rivals. Create thousands of new jobs to the east of London. Solve the noise problems affecting London residents. Cons: Critics say it is likely to devastate the economy around Heathrow. Serious risk of bird strike to aircraft using the airport. Air traffic controllers say it is in the worst spot for traffic. Environmental campaigners say it would be a threat to rare wildlife. Length of time it would take to complete. Plan: There’s already spare capacity but if airlines wanted to fly to Birmingham they could, there’s nothing stopping them. The Government can’t artificially create demand. Pros: Central England location. Those in favour say it will help spread the economic benefits to regions outside of the capital. Cons: Lack of interest from airlines in using Birmingham so far. Still more than an hour away from central London by train. Stansted – Stansted was opened to passengers in 1991 on the site of a former airport and is now the UK’s fourth busiest airport. Plan: It is the UK base of low-budget airline, Ryanair, whose chief executive Michael O’Leary recently called for a second runway at Stansted to help increase capacity in the South East. Pros: Fewer people would be affected by noise and there is already land to build a second runway. Easier to add a second runway than at other airports plus it is not on the edge of prime west London real estate. Cons: Poor transport infrastructure makes it a difficult trip from London, especially if there would be a huge increase in passenger numbers. Updating it would be costly. Plus it has a current reputation for low-cost so the appeal is dwindling. Gatwick – It is the world’s largest single runway airport where more than half the flights are low cost. Few passengers (approximately just one in 10) use Gatwick to transfer to other flights. Plan: There’s talk of combining Heathrow and Gatwick with a high-speed rail link dubbed “Heathwick”. Pros: If Gatwick added a second runway fewer people would be affected by the noise and environmental concerns than a third runway at Heathrow. Plus, there are already good transport links to London. Cons: An existing agreement means no new runway will be built at Gatwick until 2019. The north terminal was built where the second runway would have been. A high-speed link between Gatwick and Heathrow would be a long-term project, expensive and determined that it’d be a train ride too far for transfer passengers. Manchester – 3rd largest airport in Britain, has 2 runways and excess capacity and central in Britain. Southend – fastest growing airport in 2017 but currently only used by only 1.1m people. Northolt – just 5 miles from LHR could easily become a terminal 6. Opening up the RAF airport for short-haul civilian flights has been suggested as a short-term solution while a third runway at Heathrow is being built. There is already a runway and lots of spare capacity. Farnborough – fully operational airport only working at a fraction of its capacity and is adjacent to the main railway line into Waterloo. Build underground – Don’t encroach onto new land. No. Build downwards. The vast complex of terminals, transport links, hangars, storage depots and other infrastructure currently occupy most of the Heathrow site. Rework the airport to put all this underground, freeing up acres of land on the surface to build new runways. Aircraft are fuelled, serviced and boarded underground only emerging for take-off. Just like a massive aircraft carrier. But it’d come at massive cost and has been questioned whether it could actually be possible.